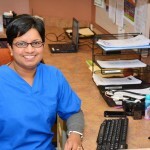 Smriti Baxi is the Office Manager for the Cardio Metabolic Institute and our affiliate Pain Management practice Central Jersey Sports & Spine. She joined the Cardio Metabolic Institute in April 2013 after spending over two years working as a Management Consultant for a global firm with a focus in the healthcare industry. 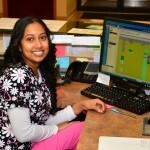 Smriti takes care of the daily office management tasks as well as focuses on process improvement strategies to help the practice run more efficiently. She also helps to develop new programs and manage the operations of the Wellness & Fitness Center of the Cardio Metabolic Institute. Cindy joined CMI in March of 2015. 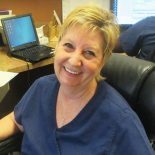 She has over 25 years in the medical administration field and is contributing in many ways with her knowledge to help enhance operations. 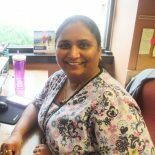 Working alongside Chinal and Smriti, Cindy is helping to manage day to day operations and will continue to be a key member of our administrative team. Chinal handles all the billing for the Cardio Metabolic Institute. 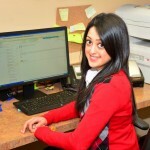 She is very knowledgeable and has over 10 years of experience in the field. She is also the loving mother of two wonderful children. 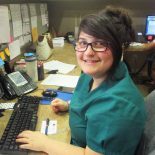 Heather received her certification as a Medical Assistant from the Chubb Institute and subsequently joined the practice in 2008. 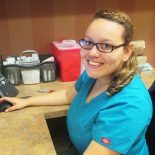 She also has a certificate from Sanford Brown University for Medical Billing and Coding. Heather helps supervise the overall operations of our Stress Testing Lab. 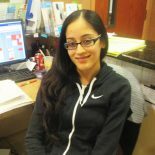 She also plays a role in supporting the ongoing operations of our affiliated pain management practice Central Jersey Sports & Spine. 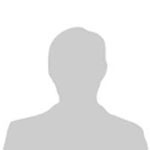 Eve joined CMI in October 2013 and wears many hats as part of our team. 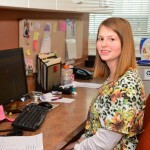 She is closely involved in helping Drs. Singal and Patel to treat patients with Varicose Veins. 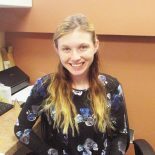 Eve also helps with managing our pacemaker program and she also works closely with Dr. Baxi in our affiliated Pain Management practice, Central Jersey Sports & Spine. 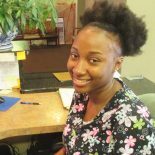 Dionne joined CMI in January 2014. 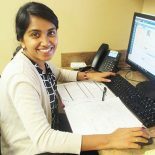 She has been a key component of successfully transitioning Dr. Pratik Patel from his previous practice when he joined CMI in February 2014. Arpita is our newest team member to join CMI, starting in June 2015. 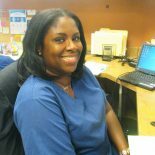 As part of our team she will spend time conducting stress tests and also helping to service the cardiology patients who come through our practice. 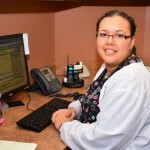 Carmen joined the practice in 2009 and acts primarily as a receptionist and patient scheduler. 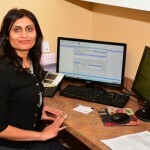 She also spends time handling appointment confirmations as well as obtaining pre-authorizations for several procedures our patients are scheduled for. 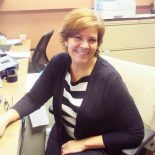 Recently Carmen has taken on a bigger role to help in administrative work, acting as a bridge between both the back and front offices.